Sculpture Size: 13 X 21.5 X 8 in. 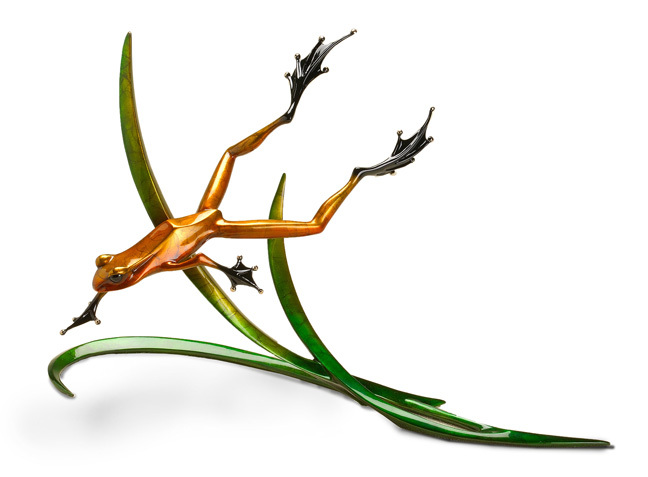 This gorgeous bronze frog embodies the grace and agility of Tim's favorite creatures. Suspended in mid-air while diving into the water, this elegant frog has wonderful movement and flowing lines.